FREE DELIVERY! * For Orders $30 and above. How SEC Pet Spa Works? 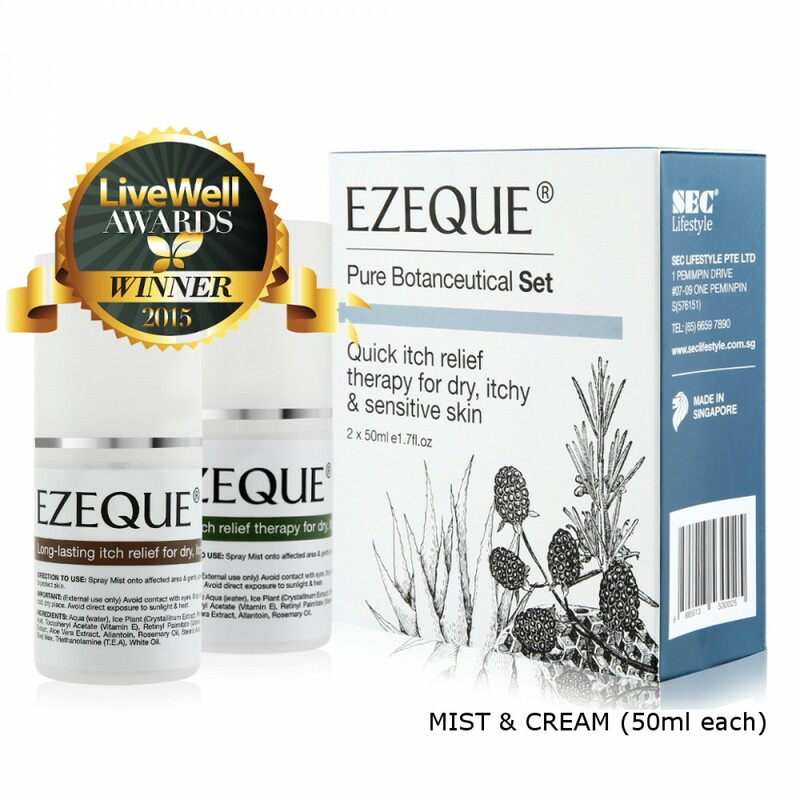 EZEQUE Pure Botanceutical Mist and Cream is formulated for the daily care of dry, itchy and sensitive skin. 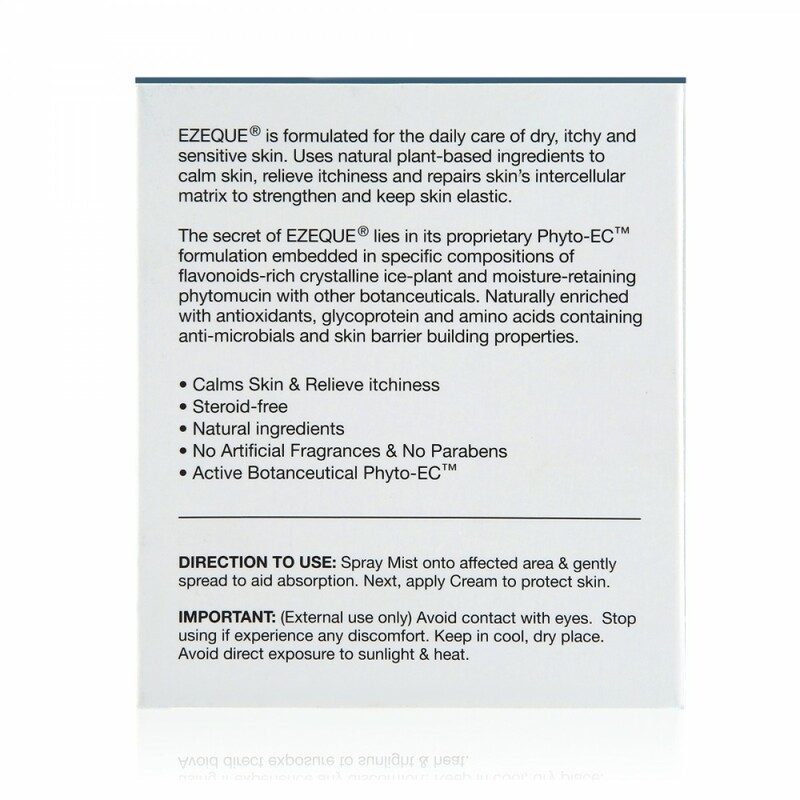 It uses 100% natural plant-based botanceutical ingredients to calm skin, relieve itchiness, and repair skin’s intercellular matrix to keep skin elastic. No steroids or drugs, with minimal or no negative side effects - 100% natural plant-based ingredients. The secret of EZEQUE lies in its proprietary botanceutical Phyto-EC™ formulation embedded in specific compositions of flavonoids-rich EZEQUE Crystalline Ice Plant and moisture-retaining EZEQUE Phytomucin with other key botanceutical ingredients such as jojoba oil, rosemary, chamomile, aloe vera, etc. 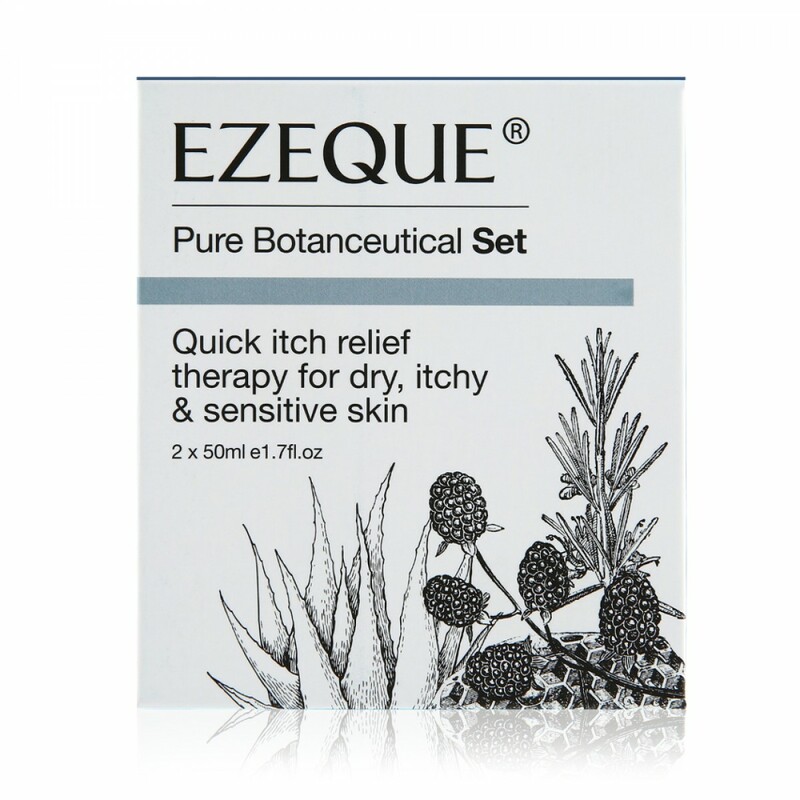 Naturally enriched with flavonoids, glycoprotein, amino acids and antioxidants containing itch-relief, anti-microbial and hydrating properties, it strengthens the skin’s protective barrier while defending them from external irritants. IMPORTANT: (External use only) Avoid contact with eyes. Stop using if experience any discomfort. Keep in cool, dry place. Avoid direct exposure to sunlight and heat. 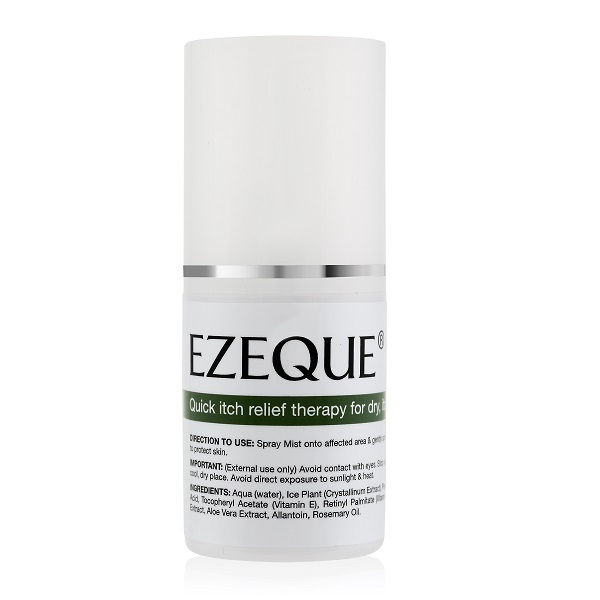 Step 1: Spray MIST onto affected area and gently spread to aid absorption into the skin. 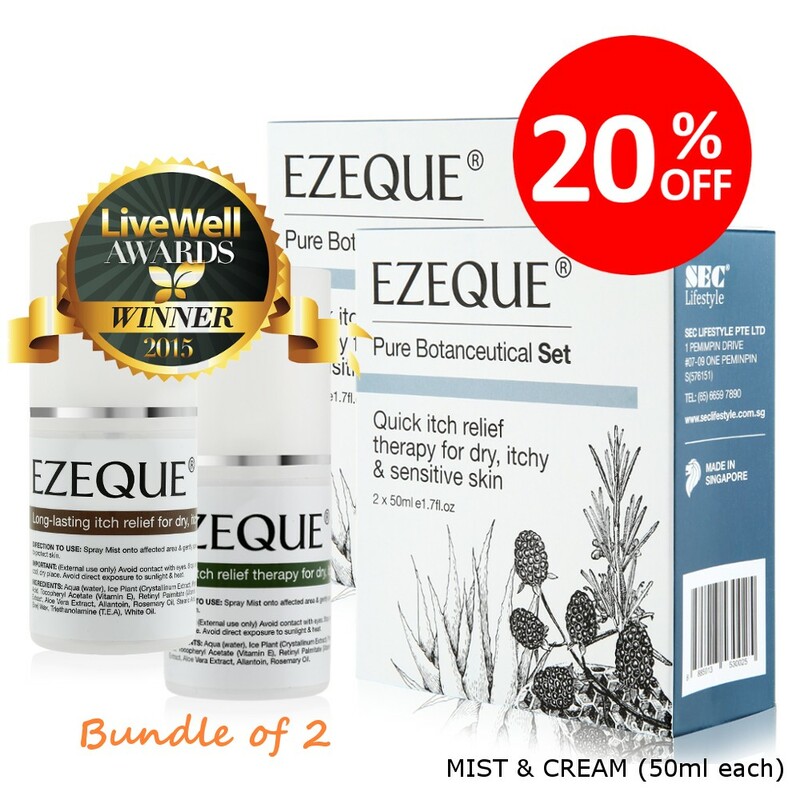 Step 2: Next, apply CREAM to protect skin and strengthen skin barrier function. 100% Natural Plant-Based Botanceutical Ingredients. No Steroids, Chemicals or Drugs. 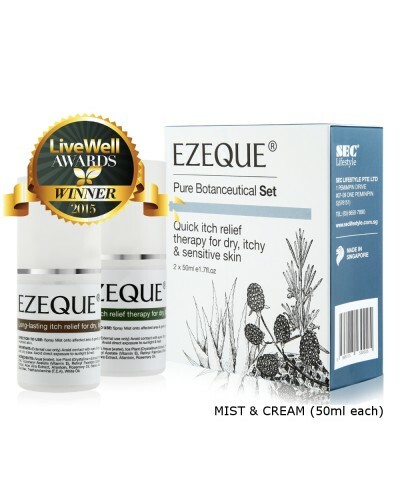 I am having eczema for few years, especially with the haze, my skin gives me very bad problem like itch. 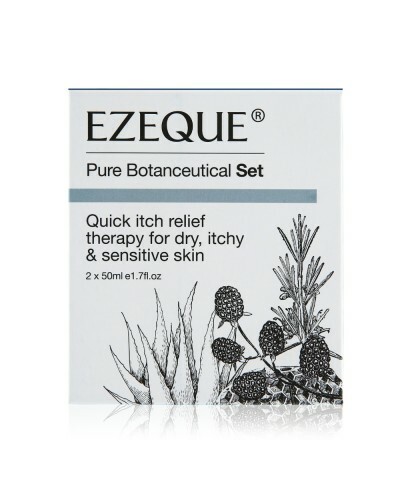 Have tried few products to stop itch but not that good. One day I came across this product on a magazine, so I thought of giving it a try. Bought the product, spray on my skin, pad to dry than I applied the cream. The itch stopped, I was very happy, at least the itch stop and I stopped to scratched. So far had used for 2 days, whenever I feel the itch, I just spray the mist, and amazingly it stopped. NOTE : For External Use Only. Avoid contact with eyes. 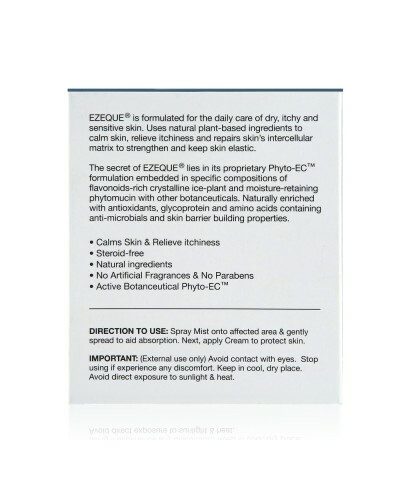 For applying on face around eye area, spray mist on facial cotton pad first before applying. Copyright © 2016 SEC International Pte Ltd. All rights reserved.